The weight of the snow brought this branch closer to the ground to reveal an abandoned bird nest. Does anyone know what kind of bird made this nest? I'm not a birder..so have no idea. But - it's sad to see an empty nest in the spring!!! Every single stick making this nest was brought by beak to the site. 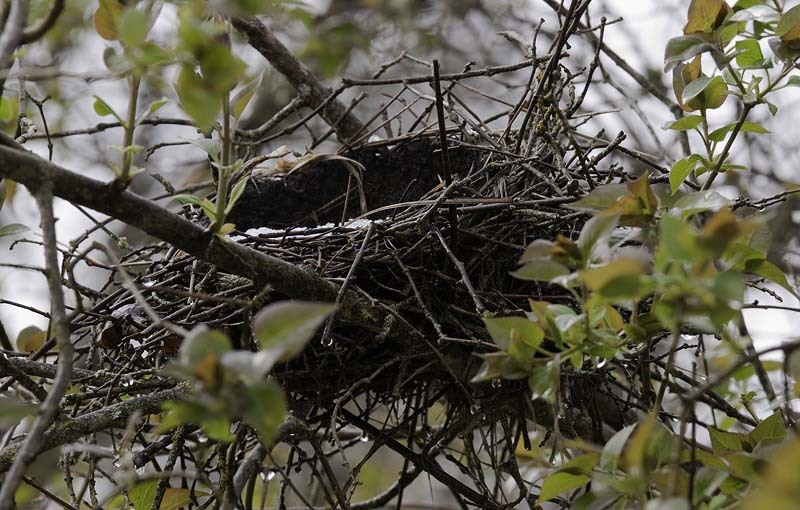 A bird's nest, especially one as sturdy-looking as this one, stands as a testament to perseverance. I think it's a robin's nest.